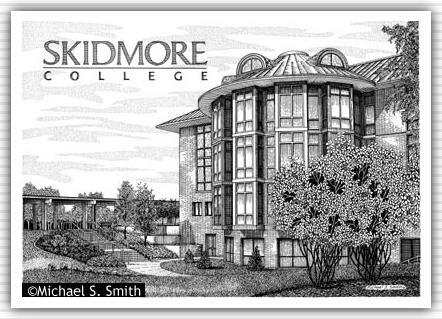 Founded in 1903, Skidmore is located near the Adirondack Mountains and Saratoga Springs. The Scribner Library was renovated and expanded in 1995. The library is named after Lucy Skidmore Scribner, the College's founder.